Ah, the days of mocking your competitors. 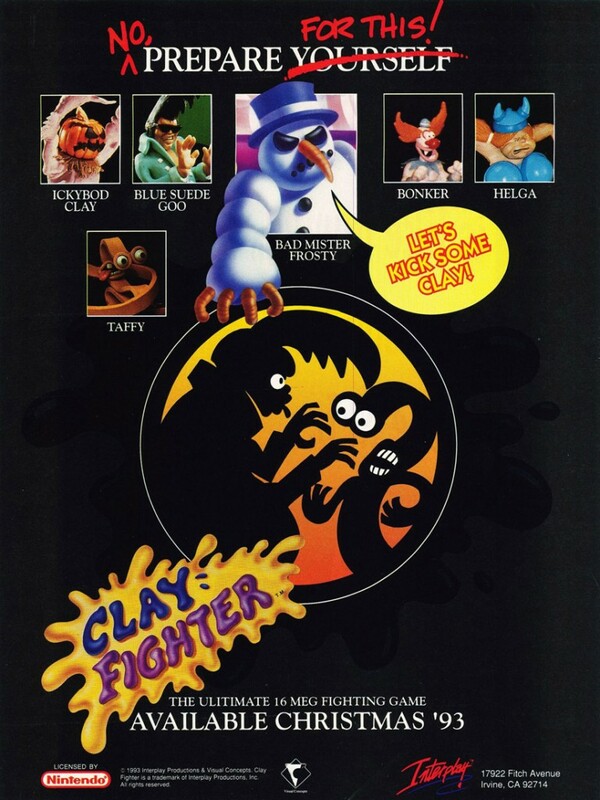 ClayFighter was a fighting game developed by Visual Concepts and published by Interplay. The game used clay figures and stop motion animation instead of sprites, but the gameplay underlying the fancy graphics was far from good. In spite of this, the series continued for another three iterations.